If you wish to know more about the term called “heart murmur” then this article will surely help you. 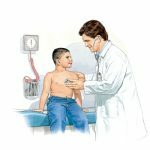 Heart murmur refers to a whistling kind of sound which is heard by the doctor when he uses a stethoscope for hearing the sound of heart. Heart murmur may or may not be an indicator of some problem related with heart. Sometimes, a heart murmur indicates nothing. In some people, a heart murmur also signifies some problem with the valves of heart. Doctors suggest some tests for knowing about the problem in the heart valve. 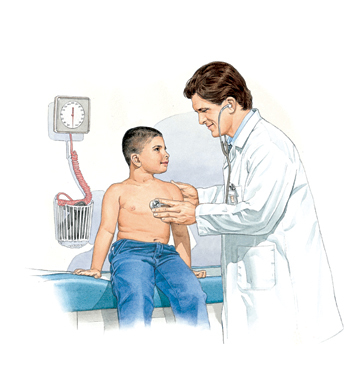 These tests may include ECG (electrocardiogram), cardiac catheterization and chest x-ray. There may be a lot of reasons for heart murmur. It also depends on the medical history of a person. If someone has suffered from a heart attack then he may have heart murmur problem. Apart from this, high blood pressure, fever, pregnancy, Anemia and illness may be the reason for heart murmur. Heart murmurs which do not indicate any kind of health problem may not show any symptoms. However, such heart murmurs which are due to some kind of heart problem may show some symptoms which can be recognized easily. Uneven heartbeat, pain in the chest, fatigue and dizziness are some of the common symptoms which indicate heart murmur. The treatment of heart murmur is different for different people. It depends on the severity of their problem and medical history as well. Some people who are diagnosed for this problem need no further medical treatment. It can be a normal variant. However, heart murmurs may also indicate a serious infection to the valves. In such cases, antibiotics are given to the people. If some damage is found in the structure of the valves then doctors decide to repair them by doing a surgery. One should understand that a heart murmur is not a problem in itself. It is an indicator of some other problem which might be present in the heart. Doctors become able to spot an underlying heart problem through heart murmur.